USA Gear Hard Shell Drone Case. 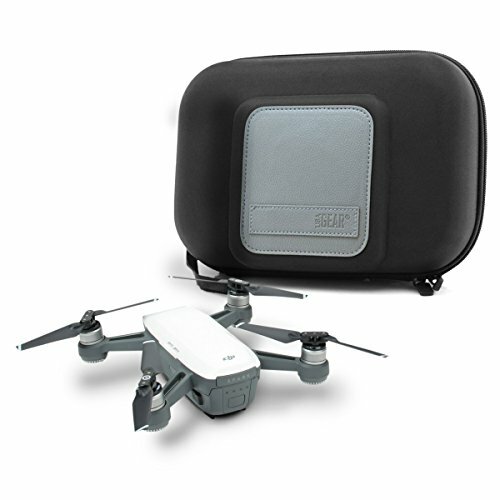 Protect your DJI Spark Mini and all your essential accessories in one convenient and durable travel case. Featuring a weather and impact resistant exterior made from tightly woven ripstop nylon over a hard shell casing , spacious interior with removable pouches for practical and customizable storage , and a travel friendly size that fits into bags , purses , and backpacks , USA Gear’s case is the only option. The rugged hard exterior casing protects against bumps , minor drops , and scratches to ease your mind and keep your DJI Spark Drone in perfect working condition. The ripstop nylon cover offers weather and humidity resistance so you can take your drone outdoors without a worry. Customizable interior features removable pouches to customize your organization style. Remove the pouches completely for extra space , or use them to organize your spare parts and accessories. The choice is yours! The choice is clear. USA Gear.